Welcome back to Cween.com! Can you believe it's been a year since my last post? Things have been crazy and we'll get into all of that in a later post. 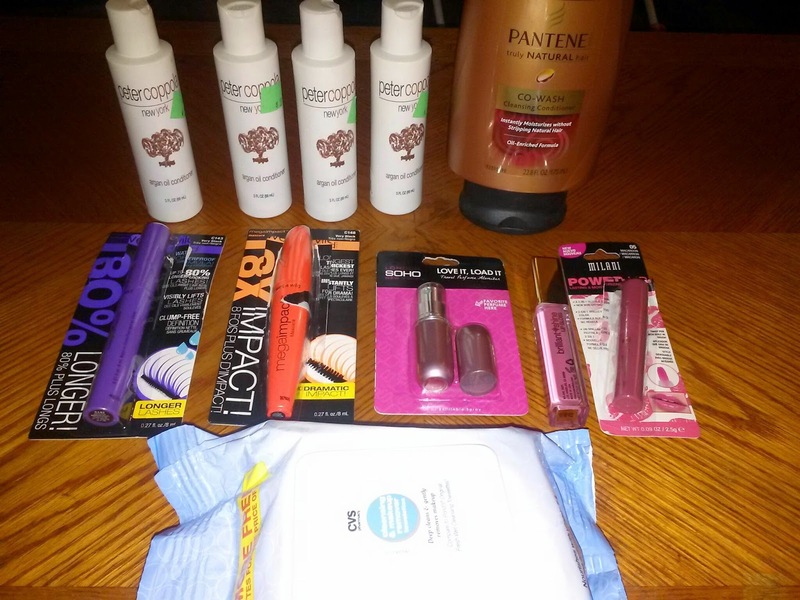 But today I'm back with a haul. After being on a strict makeup no-buy awhile back, I finally let myself indulge and pick up some products. Besides lip balm and hair care items, I've had pretty good discipline with not buying any makeup goodies. I'll leave links on where to purchase each item, and since I've had time to test everything out I'll be reviewing everything. The first stop was CVS where I picked up a couple of favorites and a few things I've never tried before. Peter Coppola New York Argan Oil Conditioner was either on sale or being clearanced out. I grabbed a few of these because I thought I'd try to hop on the Argan Oil craze. This conditioner was really not that impressive to me. I think it's because my hair is thick and almost on the coarse side. It didn't give me the moisture or softness that I look for in a conditioner, but I would recommend this to someone with fine hair as it's not too heavy. Medium hair types might get away with using it. If you're interested in trying it out you can purchase here. A favorite & Holy Grail hair product for me is the Pantene Truly Natural Co-Wash Cleansing Conditioner. This product changed how I wash & take care of my hair. For those of us with kinkier hair textures we've been told we are only supposed to wash our hair about once, maybe two times, per week. For me that didn't work because my scalp would get too dry and dandruff got out of control. But if I washed my hair more than once a week my actual hair would be extremely dry and brittle. So when I found this it saved my hair from all those negatives. I use this mid-week when I feel my scalp is getting dry and it doesn't strip it of all the moisture like a shampoo would. I'm left with soft, touchable hair as well. Nothing but great things to say about this product. I highly recommend if you have medium to thick/coarse hair, and you can purchase it here. Next, I picked up Wet 'N' Wild's Mega Length Mascara in waterproof. It only comes in one color, Very Black. This is another Holy Grail product that I continue to repurchase. 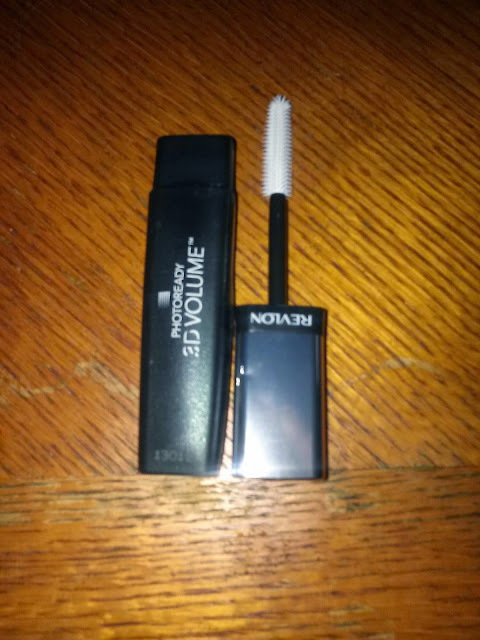 I use this as the last coat of mascara that I apply because it gives great length, and the design of the brush is absolutely amazing for separating lashes and reducing clumping. You can purchase it here. One product I did not like and immediately returned was the Wet 'N' Wild Mega Impact Mascara. The brush is like every basic mascara brush out there. It claims to provide "Extreme" volume and length but it does not do any of that. The formula is not that great and it left my lashes clumpy and spidery. I do not recommend this product, but if you'd like to take a risk, you can buy it here. Next I picked up a London Soho New York Love It Load It Travel Atomizer. This little guy is amazing to bring along in a clutch for a night out when you need a refresher. It's simple to use and less expensive than a Travalo. It is a little flimsy and the cap can bend if you're rough with it (in my case, it was stepped on). But it's so perfect if you want to bring your scent along with you and don't have the space to bring along the entire bottle. This is smaller than some lip products and can fit in your pocket. I also haven't experienced it leaking so that's good. The link I'm providing is more expensive than for what I bought it for. CVS sold it for $5, but you can find it here. Another item I returned is Milani's Brilliant Shine Lip Gloss. I don't even remember the name of the shade but I was just not a fan. I like lip products that are creamy and moisturizing. And I don't want my lip glosses to be overly sticky. This one, one a scale of 1-10 of stickiness was definitely a 10. If you don't mind that, then this may be an item to try. Also for the color, it was a milky pink when I thought it would be a bit deeper. For fair to medium skin tones, the color would look good. For tan to deep skin tones it's going to be too pale on the lips. To purchase, you can buy it here. The last product that I bought to try out is Milani's Power Lip Lasting Gloss Stain. I have the shade Macaroon. It's a really pretty mauve-rose color. This product starts off sticky but fades into an almost balm-like texture. The color fades into a lovely less intense shade of mauve-rose stain after a bit. You can get it here. Lastly from CVS, I really enjoy their makeup wipes. They don't dry out easily and they are effective in taking off all of your makeup, even waterproof, at the end of the day. These are an essential, and my 2nd favorite makeup wipes after Ponds. To purchase you can get them here. The next group of products I picked up from Walmart. I like their lip crayons so I wanted to try more shades. I picked up Honey and Cherish from the Colorburst Balm Stain collection. They've slightly repackaged the line since I went shopping for these. The color Honey is my favorite lip crayon period. It's a dupe for one of my favorite Avon lipsticks which has been long discontinued so I was so ecstatic to find this. Cherish is a bright pink (think Nicki Minaj) and is great for a spring or summer lip. You can pick them both up here. Hard Candy The Perfect Cover Up Clarifying Concealer. This item has been discontinued so I'm unable to find a site that sells it. I picked up the darkest shade Walmart had available which was Tan. That was too light for me at the time, so I think I'd manage to be able to use it in the winter. I love the concept of it. 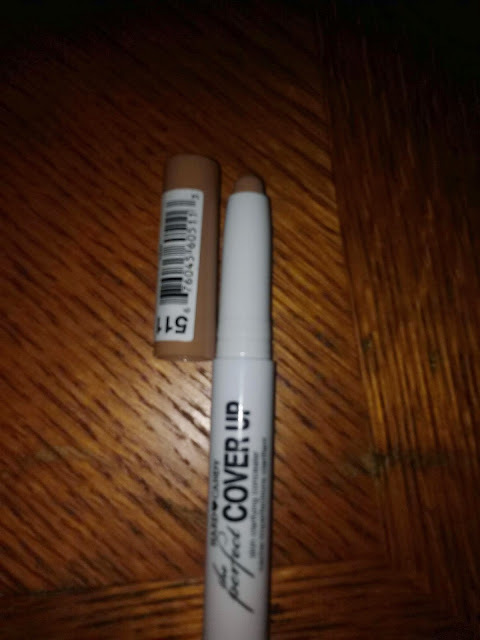 It comes with a stick concealer that is nice and creamy, and a blending brush on the other end. 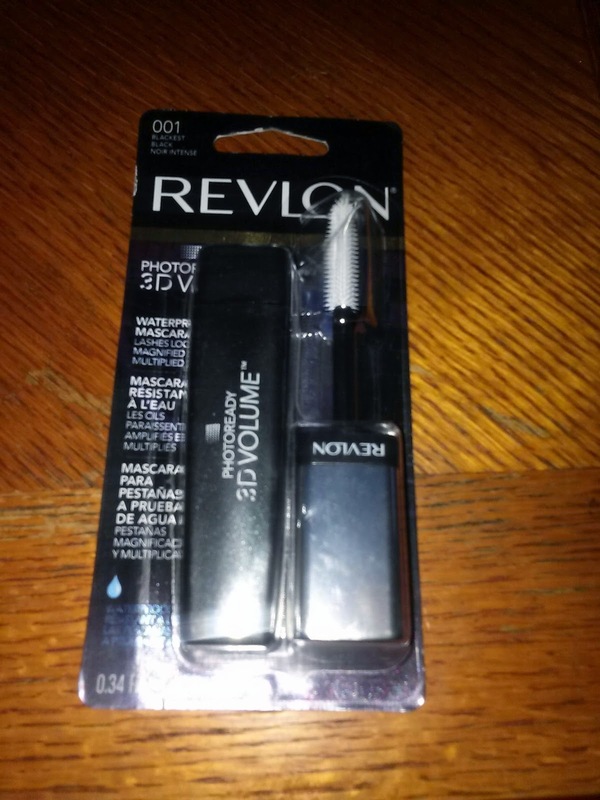 Also from Walmart, I picked up Revlon's PhotoReady 3D Volume Mascara. It only comes in one shade, Blackest Black, and it's waterproof. I got this because it was being called a dupe to Benefit's They're Real Mascara. The brush is definitely somewhat similar as there are bristles that surround the tip of the wand. The differences I've seen, besides price, is that because PhotoReady has more bristles that are longer and softer, it leaves lashes more separated and defined. But it doesn't lenghten lashes the way They're Real does. Both mascaras I would recommend, it all just depends on what type of lash look you're going for. They're Real gives you more statement lashes as it darkens and gives length. If you want really volumized, defined, "hairy" looking lashes that don't clump or get spidery, use PhotoReady. 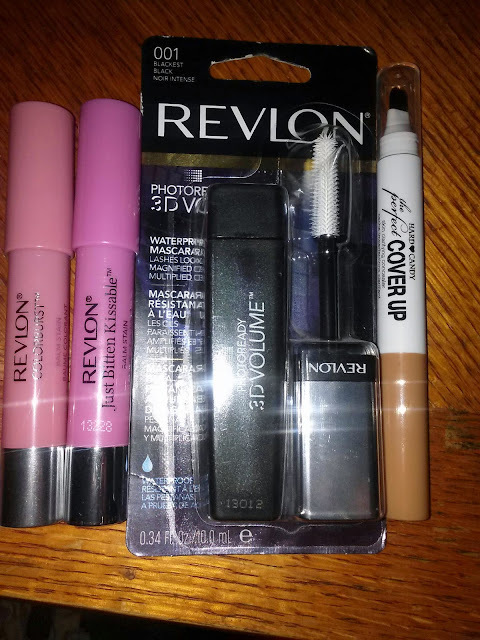 You can purchase the Revlon mascara here. On a separate trip to Walmart, I picked up the last items of this haul. My favorite gel eyeliner and mascara. Wet 'N' Wild's Mega Eyes Creme Eyeliner in Black. It comes with it's own brush which is very nice and thin. This product does dry out quickly, but it's easy to bring it back to life with some setting spray or water. It's creamy like the name implies and relatively long lasting. You can buy it here. I needed to pick up another tube of my all-time Holy Grail Mascara. 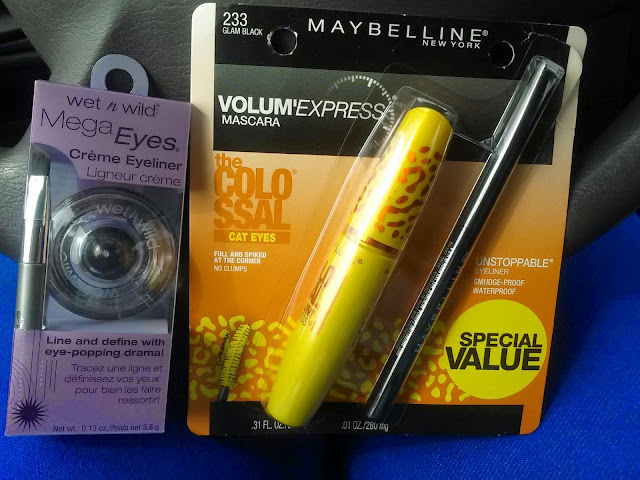 If I could only bring one beauty product with me on a deserted island, I'd immediately say Maybelline's The Colossal Cat Eyes mascara. I've tried the waterproof and absolutely loved it. This time, because it was in a pack with Maybelline's Unstoppable Eyeliner, I tried the washable version. It's still long lasting, doesn't flake, and every bit as wonderful as the waterproof version. No matter what formula I buy of this mascara, it's number one. You can pick up the eyeliner here, and the mascara here. That's all for this time. I'm so happy to be back posting for you all again!